I am a single mom raising an eight year old boy. We mostly read children's books, romance, mystery, and Christian. We love to review books so if you have one we can review, let us know! Seventeen year-old Danae Blackburn has never known love. After being fostered out at two, the family that chose her gradually reduced her to brokenness and a life of fear. 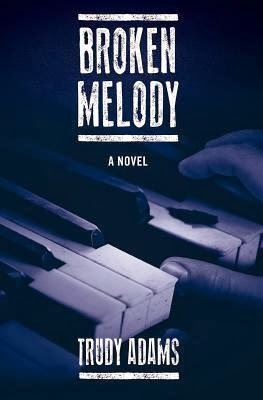 For a long time there is only one thing she can turn to - the piano, at which she is amazingly gifted.Torn between a dysfunctional past and a promising future, Danae struggles against everything that threatens her identity - the love of a friend, the challenge of a competition, the possibility of change. At first, the only thing that helps to weaken her defenses is the beauty in music .. This book is hard to read, don't get me wrong, the book itself is great but it is very emotional. It was written so well that you felt like you were in the room with them, I cried my eyes out so many times and other times laughed out loud! I do really love Danae's friends and how they look out for her. I also loved the teacher that had faith in her and how everyone came together to protect her. Every character was believable and seemed very real. After reading this book I really want to adopt a few children! It is heartbreaking to know how children in the system are treated! I know that there are parts of this book that are a reality and that saddens me.